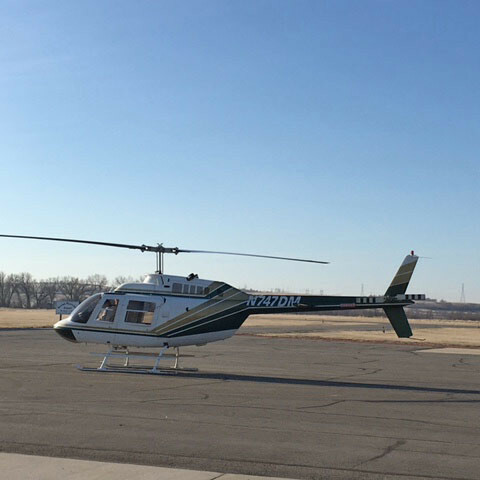 Dakota Helicopters provides Scheduled, On-Demand, and Emergency pipeline patrols for many of the leading companies in the oil and gas industry. Inspecting pipeline with a helicopter allows us to safely fly lower and slower which leads to a more detailed and consistent inspection. Each year we patrol thousands of miles of natural gas pipeline using cutting edge laser leak detection equipment. This equipment allows us to efficiently cover large sections of pipeline in a short amount of time making the inspections very finically efficient. Flight safety is our number one concern. Our pilots operate in the unique low level environment on a daily basis and have years of experience to ensure safe operations. 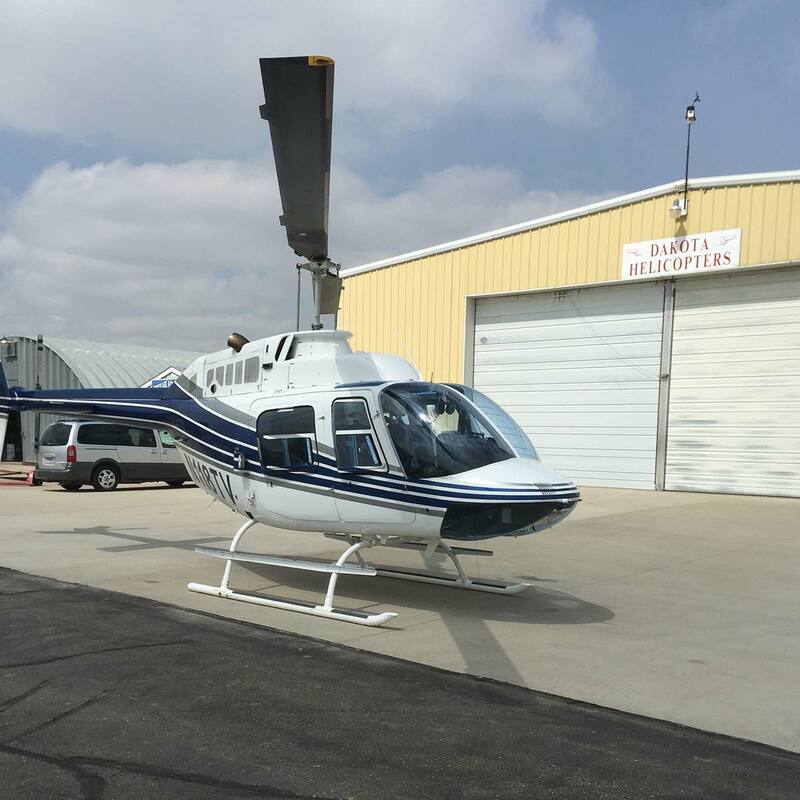 Dakota Helicopters provides routine and emergency powerline patrols using our fleet of meticulously maintained helicopters. Aerial patrol proves to be the most efficient means of inspecting large sections of powerline or surveying damage resulting from natural disasters like blizzards, tornados, or floods. Dakota Helicopters can provide visual inspections or use the most advanced helicopter mounted technology to provide Thermal, Ultraviolet, and High Definition Video to find weak points in the electrical grid before they become costly failures. 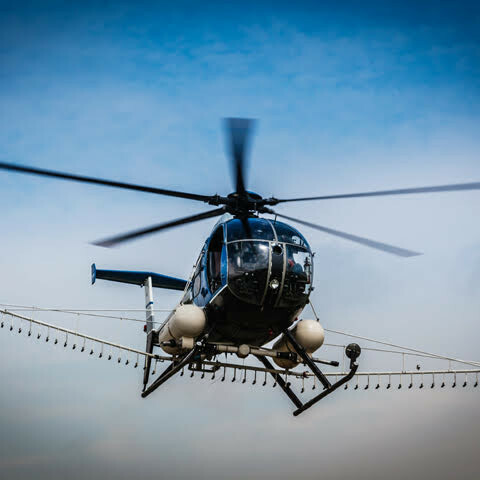 Precision aerial applications can be an essential tool all Managers of Vegetation Control need at their disposal. With increasing regulations and security needs, more pressure is placed on Vegetation Managers and the requirements to control vegetation on their properties. 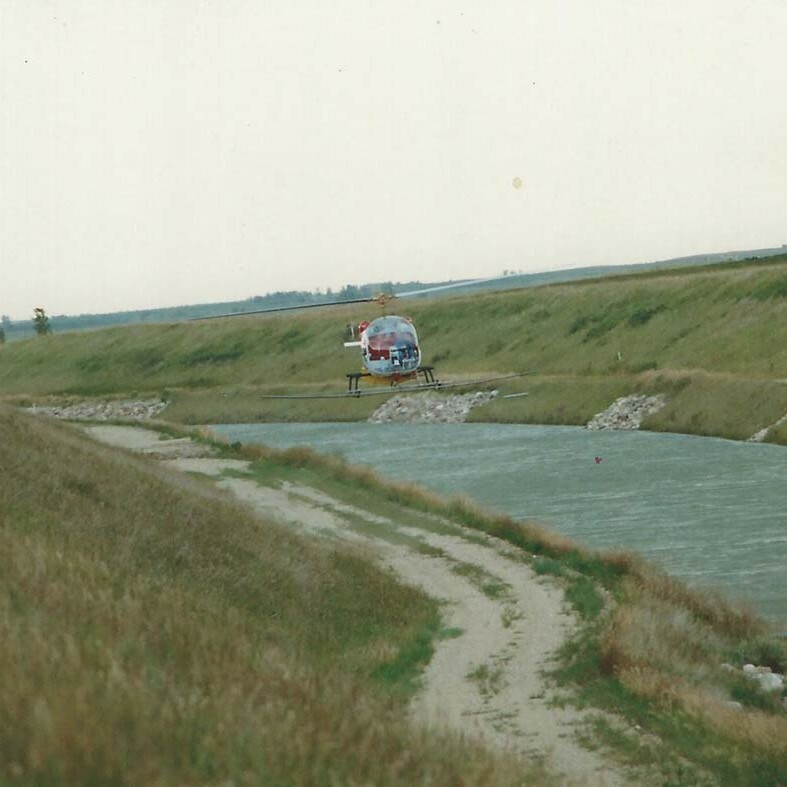 Dakota Helicopters, Inc. has provided precision aerial applications to railroad, pipeline, and power line right of ways since 1980. Noxious Weeds and different Invasive Species are growing at an alarming rate in the United States. New Invasive Species and Noxious Weeds are taking over critical and endanger habitats. Dakota Helicopters can help you restore the native habitat with our precision aerial applications. 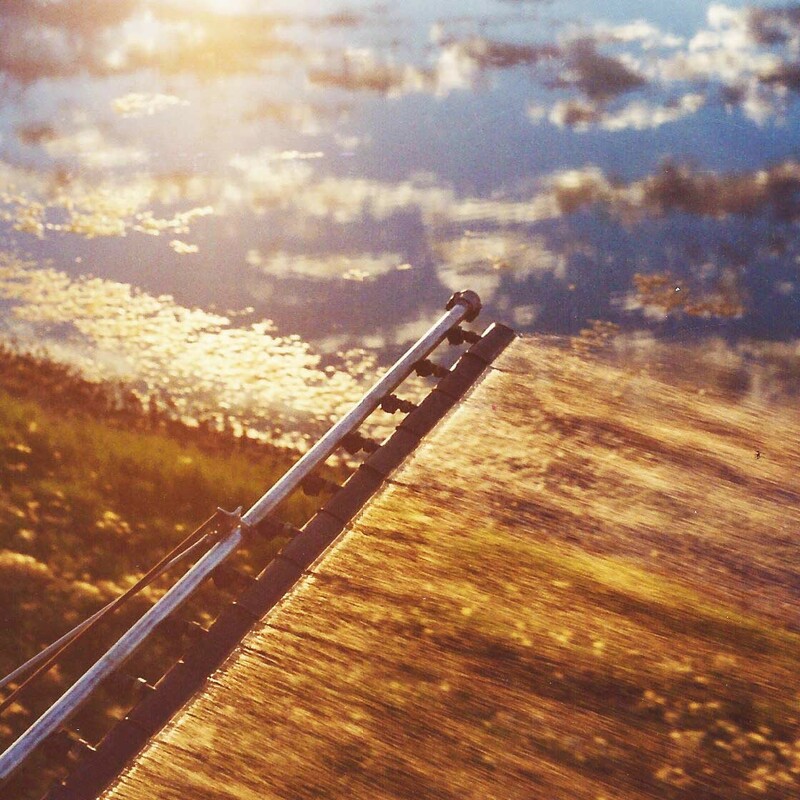 Invasive Aquatic Weeds can quickly take over legal water drains and other waterways. Dakota Helicopters can provide environmentally and economically precision aerial herbicide applications to these problem areas. Helicopter applications to these areas have proven to be the safest, and most cost effective ways to control aquatic vegetation problems.